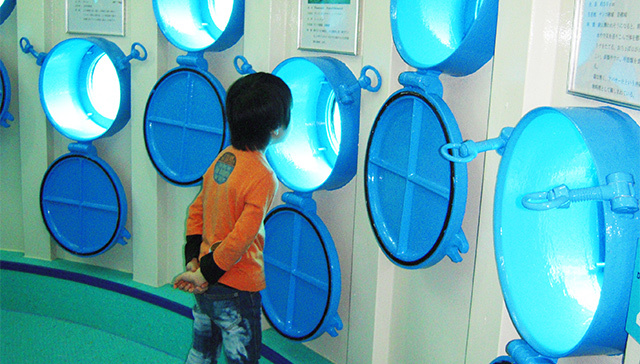 Due to "Busena Underwater Observatory" has temporary closed, So we will take to "DINO Dinosor PARK" instead. 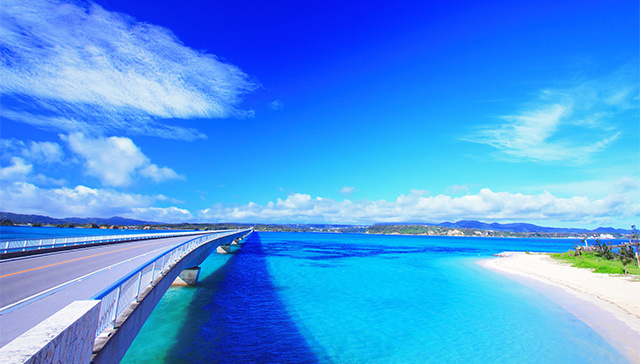 ★Fully enjoy Okinawa's blue ocean! This bus tour is a great value with both sightseeing and shopping. 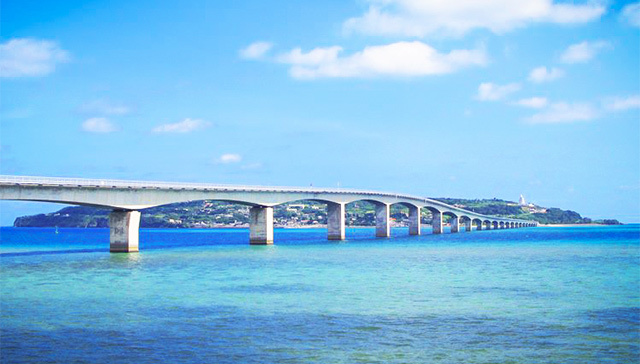 Cross Kouri Bridge to Kouri Island, a spot with superb views! 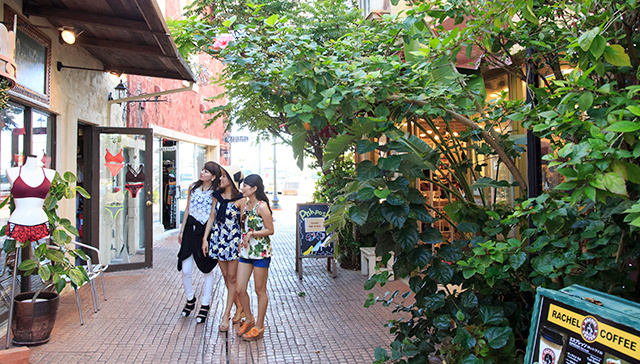 Have fun walking around Mihama American Village. Enjoy dining and shopping in this tour! The island of blue sea and white sandy beach where an Okinawan version of the Adam & Eve Myth remains. 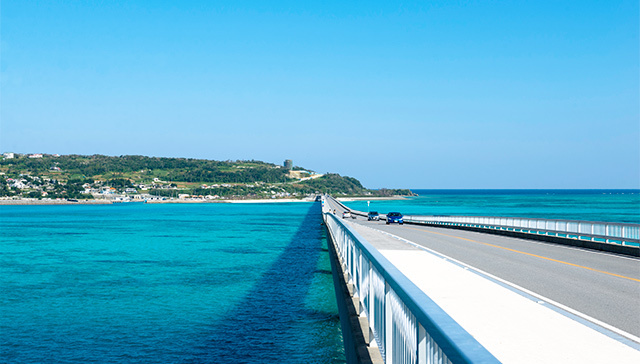 The 1,960 m long bridge offers a spectacular view of the ocean, and gives you a feeling like if you were driving above the ocean. 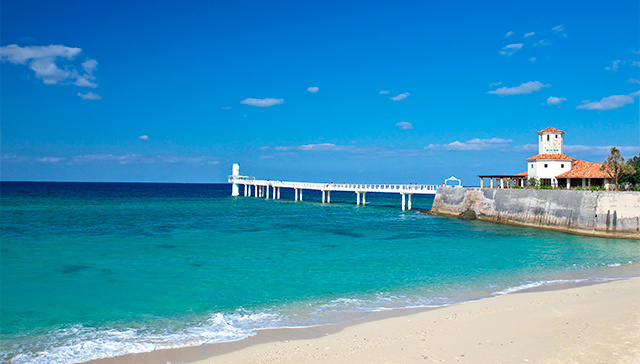 After arrival you can enjoy a stroll at the Kouri Beach. 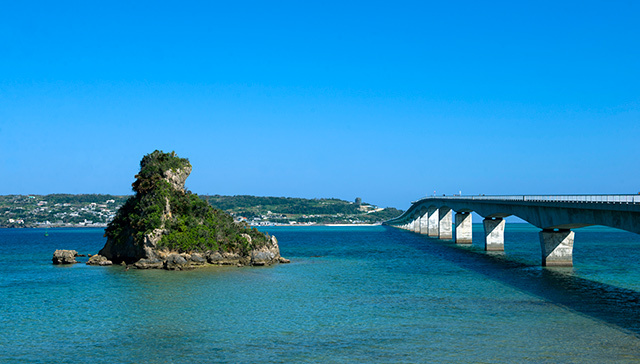 An arch bridge connecting Nakijin Village and Yagaji Island. 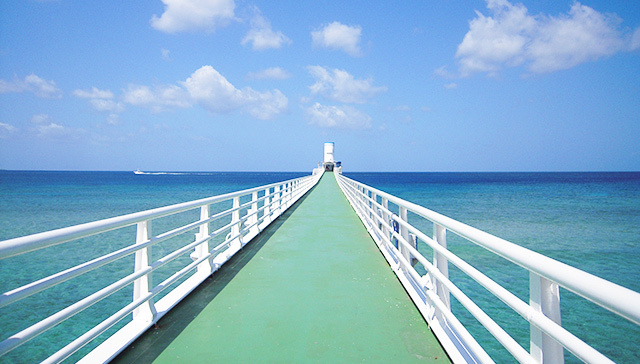 The green sea of the Warumi Strait is a scenery that can only be seen here! Please enjoy the view from the bus window. 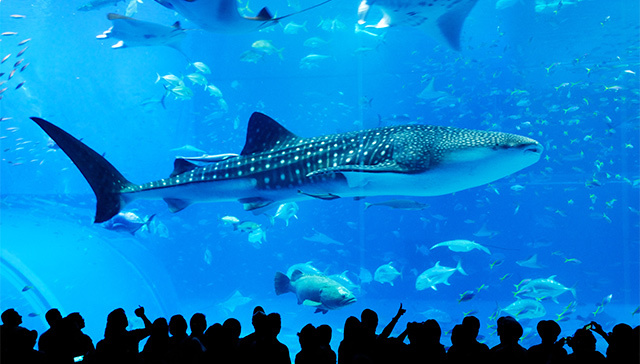 The highlight is the whale sharks and manta rays in one of the world's largest tanks! 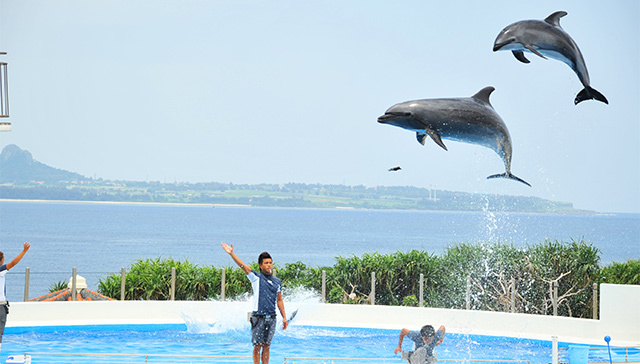 There are many other thing to see, including cute dolphin shows; the Tropical Dream Center with many subtropical flowers(admission charged); and the Native Okinawan Village, a reproduction of a village from the time of the Ryukyu Kingdom. 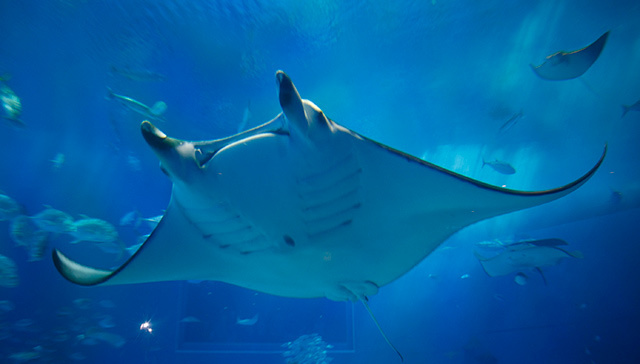 ※There are multiple restaurants in the Ocean Expo Park. You are on your own for lunch. 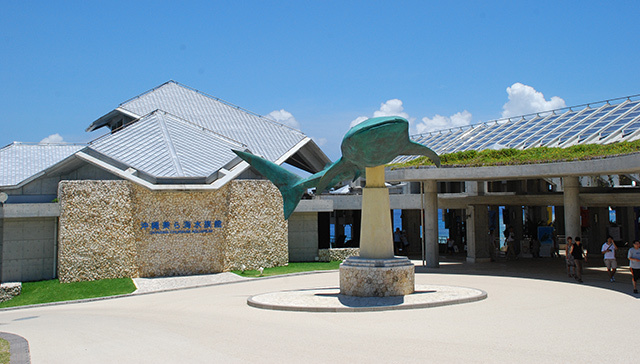 The only underwater observatory on Okinawa's Main Island! 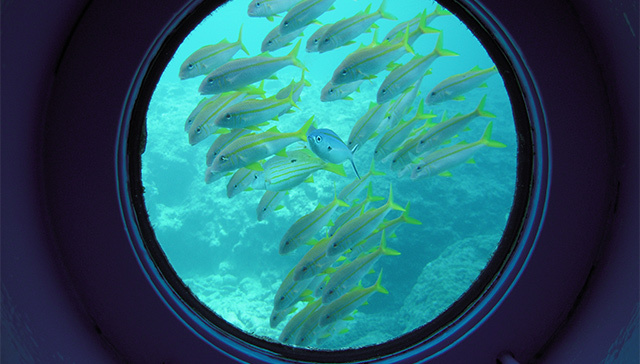 Go down the spiral staircase for 360-degree views of coral reefs and colorful tropical fish from 24-window panes. 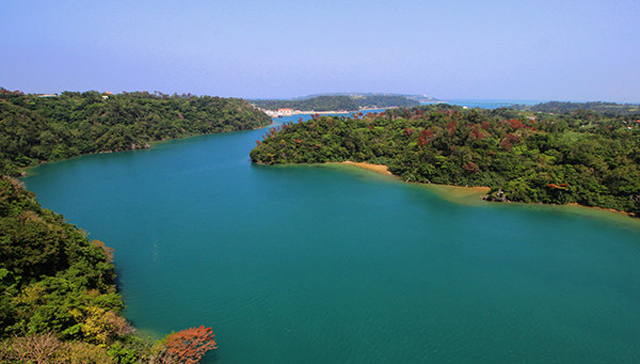 Savor the beautiful underwater scenery of Cape Busena, famous for its highly transparent water. 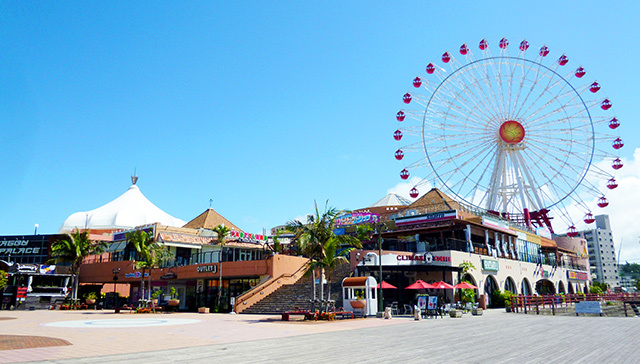 A resort town in Mihama, This spot offers a wide range of fun things to do, from dining to shopping, sunset beach walks, and the large Ferris wheel that is the symbol of the American Village. Charming, American-style atmosphere. Enjoy your free time as you like. ※If cancelled operation of "Busena Underwater Observatory" due to weather and sea conditions, we will take "DINO Dinosor PARK" as alternative facilities. 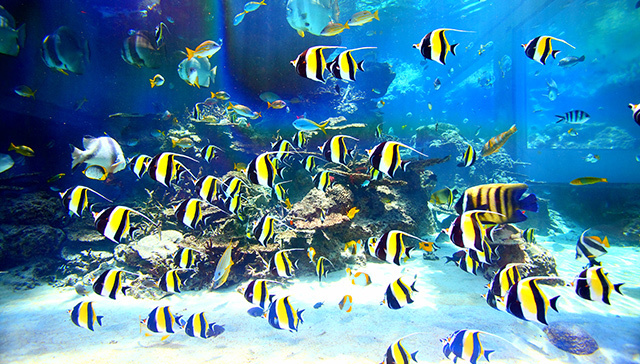 ※No operation on Dec 2nd(Naha Marathon), Dec 5th and 6th(Okinawa Churaumi Aquarium closed). The bus might suspend operation for vehicle inspections. ※On the day of the tour, you will be picked up by a large, blue bus with the car number "1101". An alternate bus may be dispatched due to routine inspections, etc. ※The B-1(Naha departure) and B-2(Chatan departure) courses use the same bus.